If you pass the first two stages of this process and get invited for a telephone interview with Santander you will be asked to complete a competency based telephone interview and the telephone interview will take approx 20 minutes and will allow the Santander member to see what you know about the company, the role and to sell yourself to them. You will hear the outcome of this within one week. Once you have passed this stage you could be waiting 4-6 for a face to face interview if appropriate. Although passing the telephone interview successfully does not at this stage guarantee a face to face interview will be next. Sometimes other than interviews they do assessment days which will be competency based. Why do you want to work for Santander? 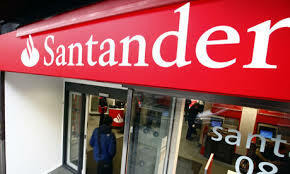 What markets does Santander operate in? What do you think you would be doing on a day to day basis? Give examples of when you have worked to targets and how you did this? Tell me about a time when you had to make an important decision. Remember that working for a company like Santander which is an extremely professional company that you must attend your interview (face to face) dressed appropriately and smartly as this is the environment in which you are hoping to work. Do your company research thoroughly into the whole history and background and visit a branch to see how it is set up, look through leaflets etc on different accounts. It seems like a tough process but a thorough one and with adequate research and confidence you should come across well. Why should we hire you? What makes you a better candidate than others? Good luck, let us know about your interview and how it went!